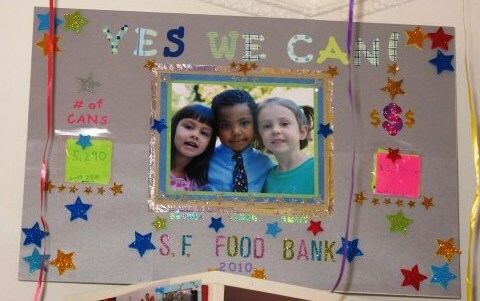 5-year olds Ethan, Emily and Sophia taught us that you don't have to be big to make a big difference. This past year, the need for food was staggering. 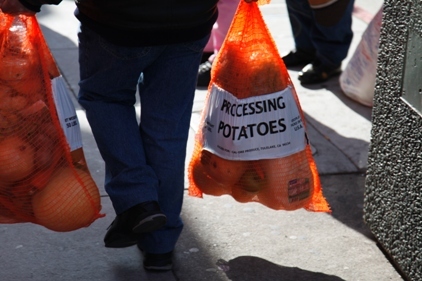 We constantly broke our all-time monthly record for the most food delivered to hungry families in San Francisco and Marin, distributing millions of pounds of food every month. 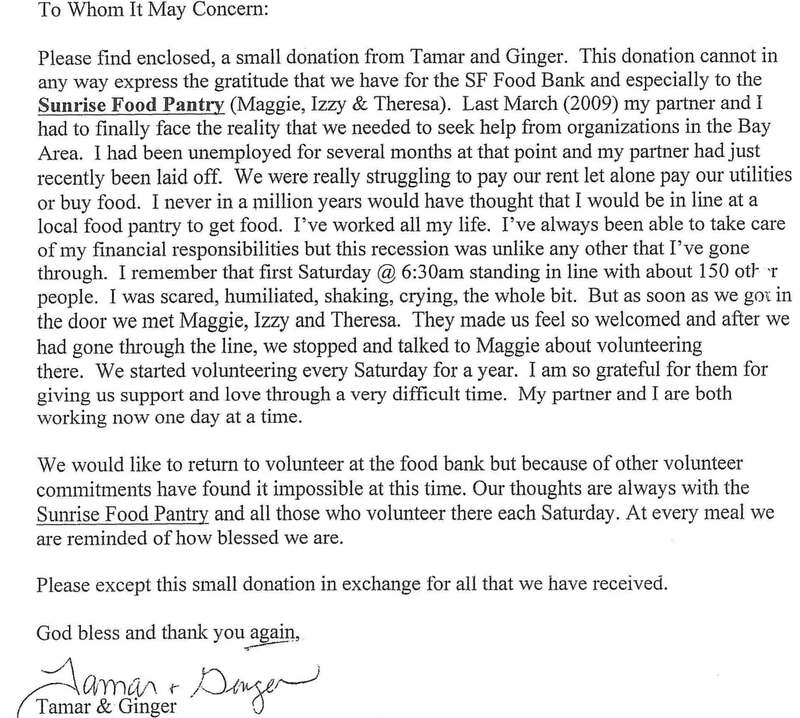 Tamar and Ginger, thank you – and we’re so glad things are looking up for you! Read more about Herman and his good deeds here. Read more about these amazing With Care kids and their teacher, Kathleen, here. “Ma, you got anything to eat?” And sad to say, a lot of times it’s like, “Mom, there’s nothing to eat.” That’s the worst thing, when your child is hungry and he can’t just get something to eat when he wants it. A lot of times, I eat less and sometimes don’t even eat so he can have something. Read more of Ginny’s story here. 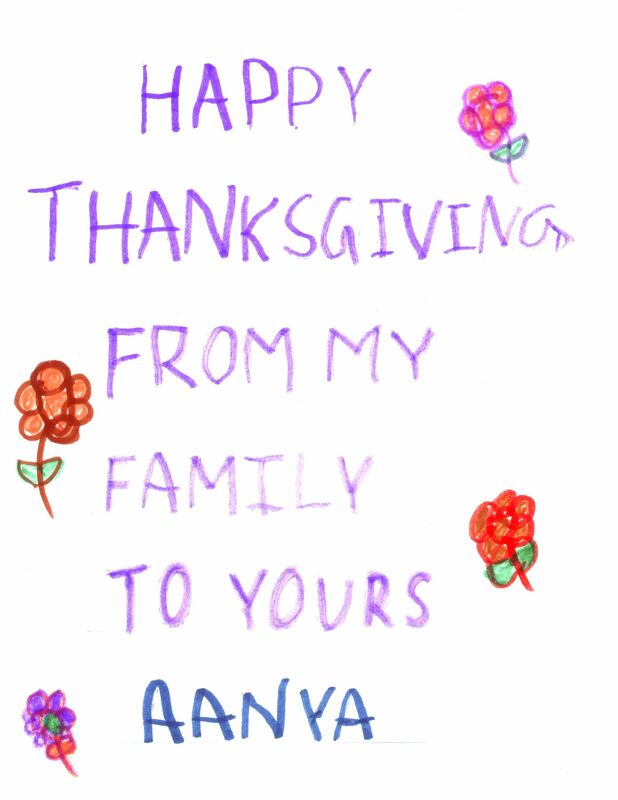 Read more about the Thanksgiving notes here. A lot of people would probably be surprised to see the hunger and homelessness we encounter. It’s a wake-up call, especially here in Marin County. We discovered that we had between 100 and 110 homeless students at our school at any given time, and the only meals they ate were from our cafeteria. So not only were the students not getting a meal before or after school, the rest of their family wasn’t, either. That kind of instability, of constantly moving, of never living under your own roof or having enough to eat – that creates a tough environment for a child. These are some serious obstacles to learning. But I think our market is helping. It’s a small act with a big impact. Read more about this wonderful new pantry here. These are just a few of the people who inspired us this year. (There are a lot more stories here.) 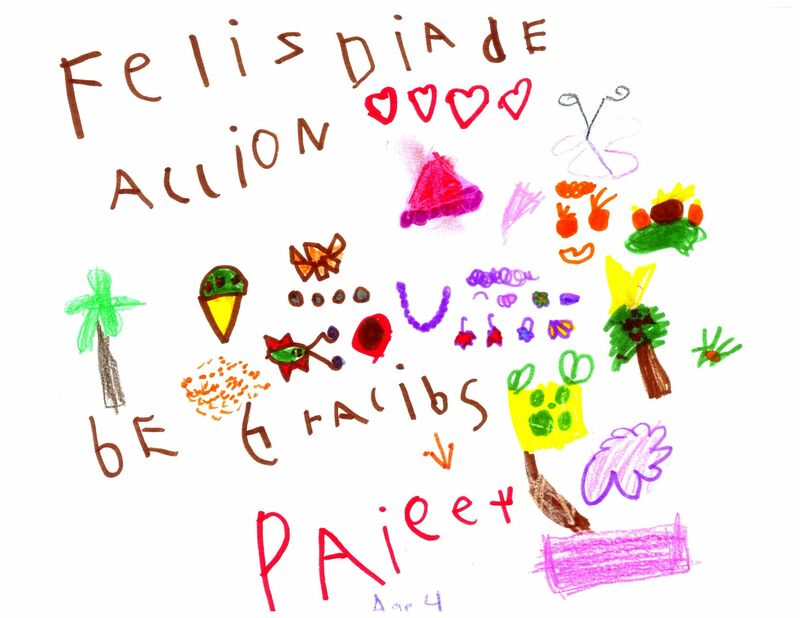 To all our many volunteers, donors, staff and clients, we give our sincere thanks – and our promise that we’ll work even harder in 2011, to make sure every family in our community has the food they need to thrive. If you’d like to help inspire us, please visit our website to learn more, donate and volunteer. I’m from Casablanca. I live like, 15 years in Morocco and when I was four years old, my dad, he died. And my mom, she raised us. She used to work in hotels so she could get money and support us and raise us all herself. She raised us well. She never let us down. My big brother used to work to help my mom. And my big sister, she used to work, too. Me, too. When I turned 12, I started to work at a fish shop. Because the way my mom told us how to be, and how she told us my dad was, it made me feel like I had to become a man and I had to support myself. You know what I mean? And one day, I was sitting on our block and my brother, he came and he told me, “pack up. You’re going to America.” I was so happy. And when I take the airplane, me and my sister, we put our feet down here in San Francisco. It was my first city in America. I’m very glad I came to this country. I love my country, but I love this country more. When I moved here, I go to school for one year and I didn’t know anything. 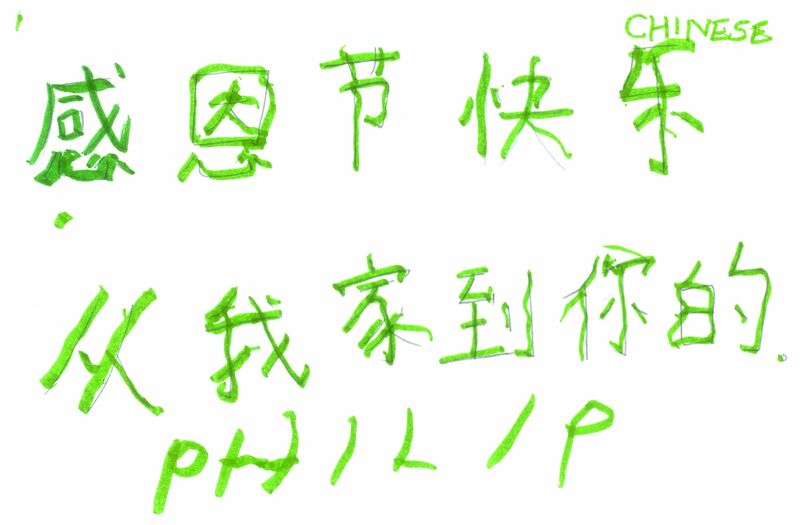 It was like a new language and it was hard for me to learn all the words and the letters. And I didn’t know how to speak for all that year. At that time, my brother-in-law, he brought us food from the Food Bank. And I was like, let me go see. So I got a number and I was waiting. And the truck came and they put the food outside. And there was a lady there. She was working, lifting heavy stuff. When I help at the food pantry and when I am working, I don’t show what I feel inside. It’s like, I’m all the time smiling to the people. I’m walking down the street and I’m smiling to everybody. It’s like everybody, they think I’m happy and stuff like that, but I’m not. I’m all the time scared and all the time thinking about my mom and thinking about getting an education, and learning how to read and write English better so I can support my mom more. Because she deserves that, you know? So I work with my brother-in-law, fixing cars with him. But Wednesday is the food pantry and I told him, I’m going there. And then I started bringing food to my mom and she was happy. My mom cooks Moroccan food. The stuff we get, it’s like, potatoes, tomatoes, onions, sometimes juice, sometimes eggs, sometimes rice – all that food, we can cook it like Moroccan food. So basically, I’m like three years in America. One year, I need help and two years, I help others. I volunteer at the food pantry. It’s like, if I need help, I will take it. But if somebody needs my help, I will give it to them. That’s how it goes. I received an invitation to The White House and four days later, June 30, I was there in the East Room, listening to President Barack Obama announce and describe the new White House Office of Social Innovation. Here is how it happened. The program I developed, Farm to Family, and I had been cited as an example when Michele Obama was introduced as the keynote speaker at a Volunteer and Social Innovation convention in San Francisco earlier that week. I was honored for Farm to Family, and also as an example of a person working in an “encore” career using their experience and – in my case – knowledge of the food industry. It all began when I was a Vista volunteer, working at the San Francisco Food Bank. We started Farm to Family in 2000, distributing fresh fruits and vegetables to people in need throughout California. 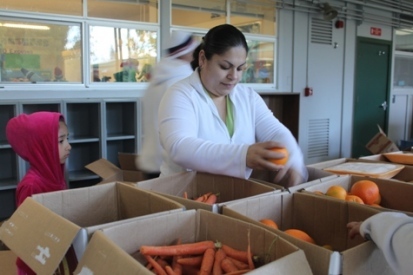 The program directly connects California food growers and packers to food banks, distributing fresh fruits and vegetables which aren’t considered marketable – due to shape, size, slight blemishes or overproduction – but are still delicious and healthy to eat. In the past, this surplus produce was ploughed under, fed to animals or dumped in landfills. The produce is distributed through more than 40 food banks, through the California Association of Food Banks, at no cost to those families receiving it. In 2009 we will distribute over 78 million pounds of produce, with more than 50 different crops represented. We estimate over 500,000 people in need receive Farm to Family fresh fruits and vegetables every week. In 2007, I received a Purpose Prize for my work with Farm to Family. This prize recognizes people over 60 who are enjoying socially innovative encore careers. Thanks to the Purpose Prize, my work came to the White House’s attention. First I did not get fly on Air Force One, sleep in the Lincoln bedroom or have breakfast with Michele and the kids. I did have the opportunity to see up close the strength of the President’s character, his leadership and charisma. My day at the White House began with brunch at an elegant home, meeting others being honored. Reaching the White House and after going through security, we were free to look around a series of sitting and dining rooms close to the “East Room” where the president was to speak. It was a thrill to gaze out onto the lawn and the Washington Monument beyond from the interior of the White House. The president spoke for about 20 minutes, announcing the new White House Office of Social Innovation and congratulating the Social Innovators invited for the event. The White House office on Social Innovation’s mission is to encourage innovative programs, like Farm to Family, and to replicate them in other states. Here are some fellow Purpose Prize winners who were also honored that day at the White House for their innovative programs. After the main event, I had the opportunity to spend time with Jeff Bleich, a San Francisco resident now working in the White House as Special Council to the President. Jeff was instrumental in spearheading the Food Bank’s very successful “Food from the Bar” program (where law firms volunteer, run food drives and raise donations) for several years. For me it was an honor to participate in the White House event, and gives me continued energy to help grow Farm to Family to serve more families in need! For those interested in learning more about Purpose Prize, you’ll find more information here. President-elect Obama has declared January 19 a National Day of Service – will you heed the call? Make 2009 the year you commit to helping in the fight against hunger. Volunteers play a vital role in ensuring there’s always food streaming out of the Food Bank and into the community. Winter citrus is plentiful and regardless of the season, we’ve always got senior food boxes to pack. Contact our volunteer coordinator today to get involved.